Can food choices really influence your workplace performance and its environment? As attitudes toward office wellness have shifted over time, this is a question on the mind of many employers. We know that eating smart can affect our body weight, appearance and overall health, but what about mood and mental clarity? All aspects of the human body perform better when given the best nutrition available. Knowing this, many employers are left to wonder—is it worth the effort to offer employees healthier food options within the workplace? Many health experts think so and here’s why! As an employer, if your goal is to achieve optimal performance from your employees, taking part in providing optimal nutrition will help to ensure success. We cannot expect a vehicle to function properly when oil is poured into the gas tank, and it is no different for the human brain. When the only fuel options are high glycemic, fatty foods that spike the blood sugar, the end result is a sudden crash and burn. 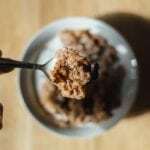 It is often said that “What goes up, must come down,” and in this instance, elevated blood sugar levels from junk food will hit rock bottom and leave employees feeling sluggish, unwell and moody. No one has mental clarity when they are feeling tired or ill.
Will Employees Respond Positively When Offered Healthier Options? 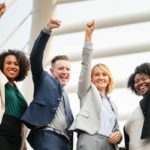 While there is no guarantee that every employee will choose to partake in the wellness benefits they are offered, many will appreciate the opportunity to reevaluate their own health habits and goals. Having healthy meal, snack and beverage options readily available instead of planning their meals in advance can really impact the success of a company’s wellness initiatives. Humans are creatures of habit, and it’s difficult to break from unhealthy habits without easy alternatives. Offering healthier options and a better lifestyle without asking employees to greatly alter their workflow will raise the chances of success. One reason for eating unhealthy foods in the workplace is often convenience and poor planning. Too many easy-access products are available and appear to be an acceptable method of fueling the body, but over the long haul, they’re not. Meeting the demands of a bustling modern life has caused our nutrition to become an afterthought, rather than a primary focus. Over time, this has led to unhappiness, disease and depression. All of these can bleed over into the workplace, affecting its productivity and culture in negative ways. 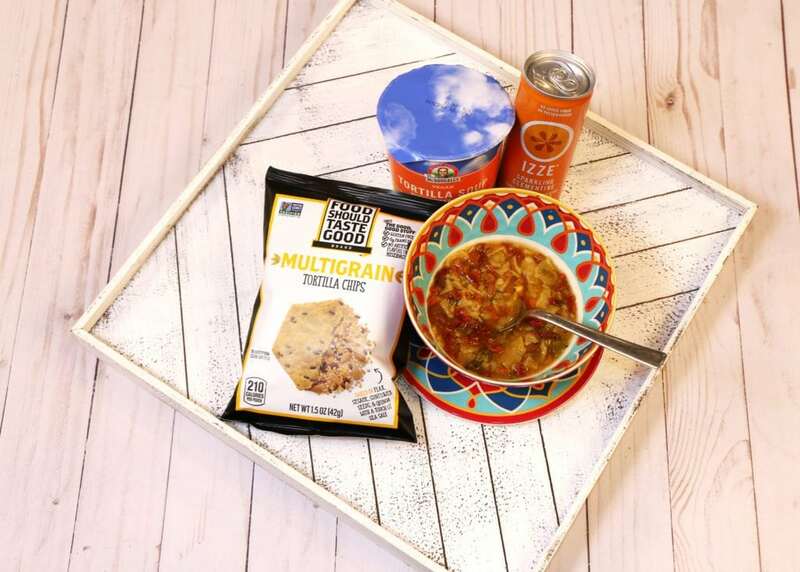 Encouraging and offering even small nutritional changes within your workplace can add up to many positive outcomes for the health of employees, and the success of the company as a whole. A lift in energy and spirits will influence their ability to successfully perform their job duties and eliminate healthy issues related to poor nutrition. 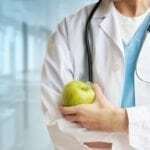 As an employer, you cannot completely change the eating habits of your employees, however, there are great benefits in making healthier options more readily available. 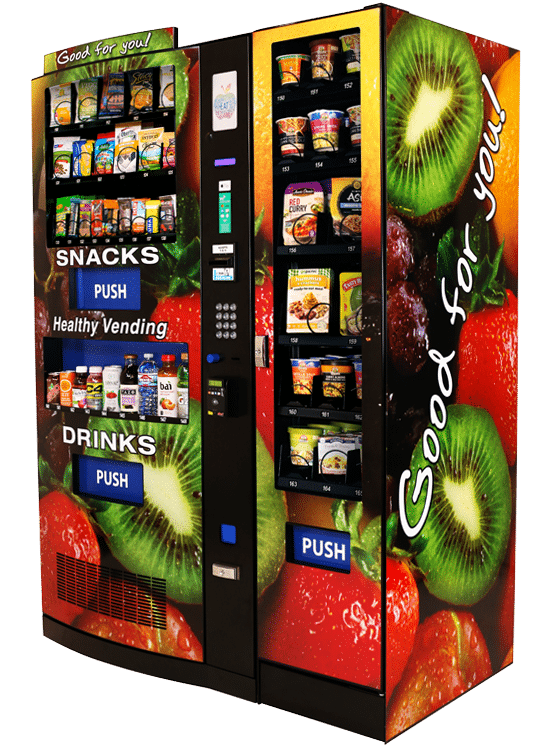 Healthy YOU Vending is the nation’s leading healthy vending company, with thousands of operators nationwide. Our machines can be found in many businesses that range from small, locally run organizations to large corporate entities. Our operators serve hospitals, schools, gyms and much more. To find an operator near you, contact us at 1-877-804-6523 or go to healthyvendingatwork.com!